Glad you had a good time; I've heard god things about this gamer. It was a great time, indeed. I would agree that "The Bruce" is a more balanced scenario and that the game rocks. However, I wonder how long it would be, before the game becomes repetitive and a foolproof, winning strategy is developed. I guess we will have find out. 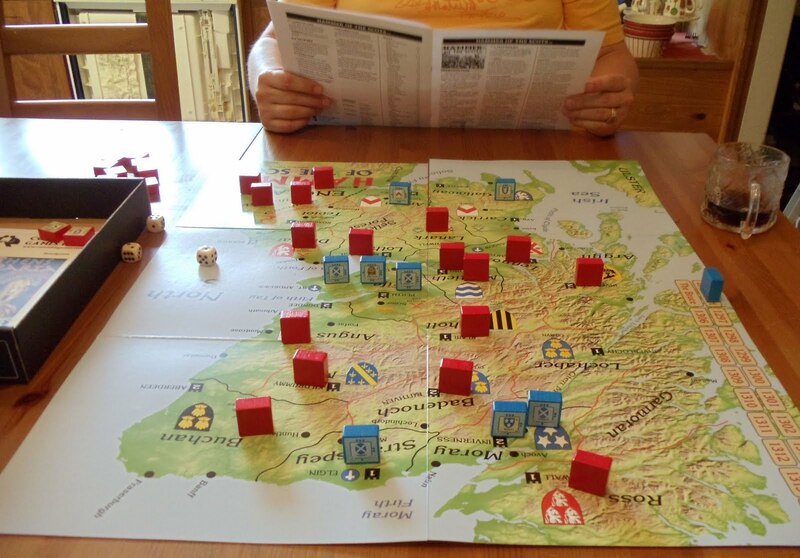 I also wonder if the "Braveheart" scenario is winnable for the Scots. Anyway, this is definitely a game to play again. I love the block system. Maybe I'll get Richard III, The War of the Roses, so we can mix it up a bit.